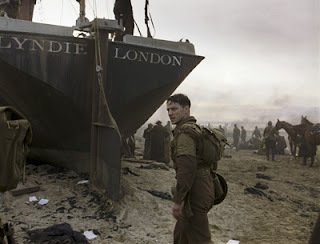 Atonement (2007) – Over five months waiting for this film to come out in the danish theaters almost discouraged me to see it. Unflattering comments from those who had seen it already too. “This is a melodrama that doesn’t provoke any good discussions”; “how forgettable it is”; “how confusing and hard to understand”. Being melodramatic doesn’t always mean bad, after all, great part of the classic film history is what could have been called a “melodrama”. And if there are people out there who couldn’t follow the story without great difficulties, I don’t see that as a narrative problem at all. And as for being forgettable, it’s truly a personal matter. I know it’s too early to say something of the sort, but so far I have the entire film in my mind, and I feel that it will stay with me for a long time. 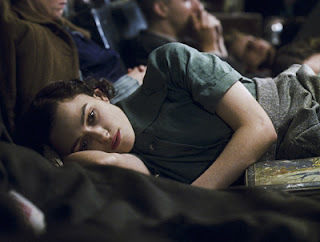 As in Ian McEwan’s novel, the film belongs to Briony, whose personality layers are exposed in her very first screen appearances, as a result of Saoirse Ronan’s sensitive performance, the editing and even the soundtrack and costumes. Briony is a child with fertile imagination that hasn’t yet realized how words can be powerful, instead, she intersperses imagination and reality and interpretates the world around as a consequence of these two. Briony is innocent and sexually clueless, she feels somehow left-out from the adult world she misunderstands, she feels awkward between two very distinguished borders. The sin she’s about to commit is not only fruit of what she can’t yet comprehend, as her fantasies are also attached to a deeper reason that conceals truth and generates lies. Robbie, the charlady’s son, as for his social origin, as for the words of Briony, as for the “wrong” message in the envelope, is denied the possibility of defense. His redemption and possibility of being with Cecilia once and for all is the Second World War. Yes, it’s melodramatic. The entire nucleus revolving the two lovers is tragic from their first kiss to the very end. However, the acting saves this segment of being emotionally manipulating. Keira Knightley abandons for once all the exagerated facial expressions that even gave her an Oscar nomination in the past and decides to give a subtitle performance that enriches not only her acting, but the narrative as well. 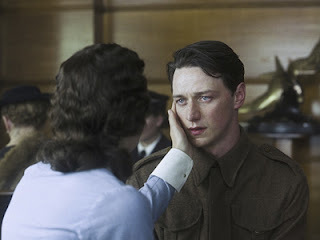 James McAvoy doesn’t even need words to demonstrate what Robbie has gone through. And when Romola Garai takes the screen as a 18-year-old Briony, now a nameless nurse that traded the university and everything else her aristocratic condition could proportionate for nothing but sadness, pain and horror; it can be seen that it’s only her haircut that is still the same, because the old and romantic-minded Briony is buried forever. That child was replaced by a young woman whose feeling of guilt is so transparent that can be read in her eyes and posture, and whose possibility of atonement is all she aims. Life won’t make it possible, only words. Words that once so powerful and inventive, destroyed lives, words that now nothing but facts, atone those very same lives, although it’s too late, and it’s always been too late.